Mischief is used in the Deviance Aspirations (Chief of Mischief and Public Enemy) and in the Criminal and Secret Agent (Villain branch only) careers. To complete Public Enemy, you must join the Criminal Career. ♥ Complete other milestones, this cheat completes the entire Aspiration level. (Patched) If you have Connections, you instantly join at Level 4 and fulfil the Aspiration requirement. ♥ Hot-Headed – Randomly Angry. ♥ Mean – Mischief and Meanness makes you happy. ♥ Evil – Why stop at Mean? Fully commit! All abilities are unimportant, except Partners in Crime (Good Friends) unlocks at Mischief Level 4. Partners in Crime allows you to create a work event which may raise (or lower) your job performance. Becoming Partners in Crime unlocks interactions with your partners. Playing pranks at work affects your job performance! Voodoo isn’t automatic. Failure gives a Sad moodlet. 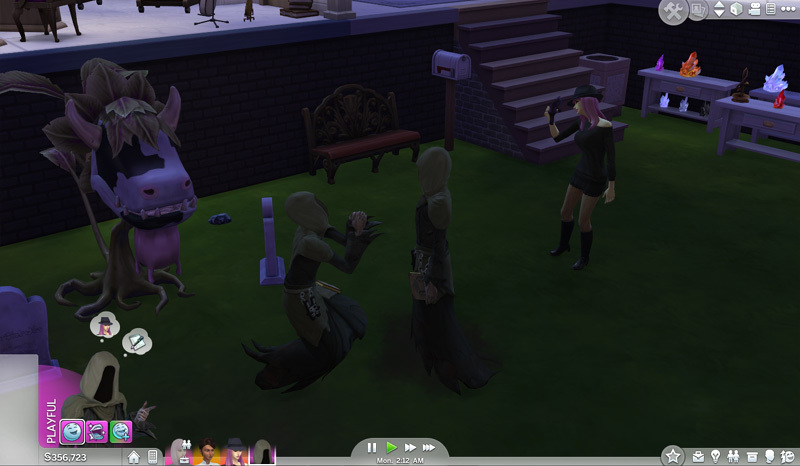 You can summon a bound sim to you. You cannot bind a sim you have not met. Go introduce yourself. 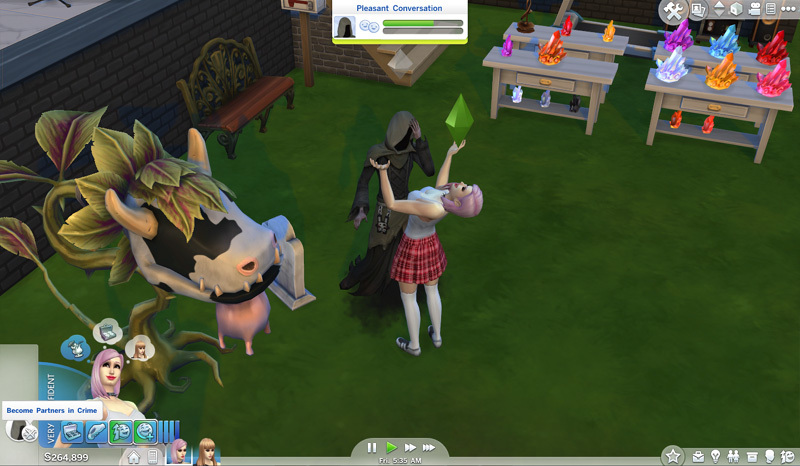 A sim can only have one Voodoo moodlet at a time. The latest one will replace any other. You can get Voodoo Dolls by Fishing (special spots) and digging (very rarely). The easiest way to get one is to reach Mischief 3 and buy it. If Grim Reaper is on the lot, you can Toy With Death with an Unbound Voodoo Doll (It doesn’t seem to do anything). 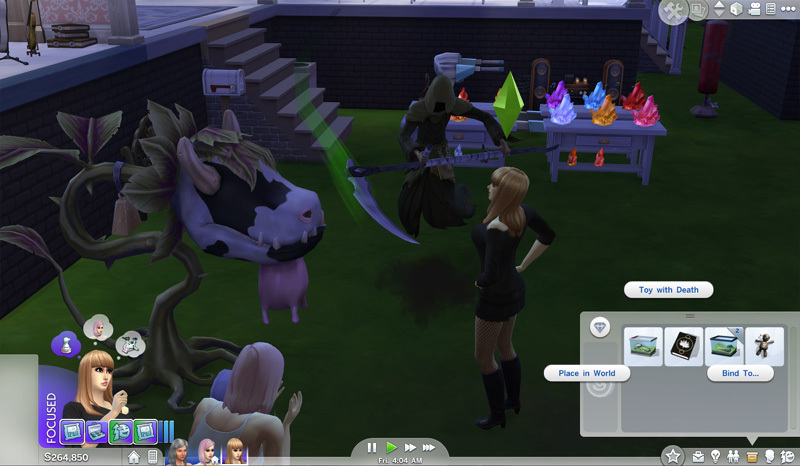 She looks confused while Grim pleads with Grim.